While Utah is the most religious state in the US, it is unquestionably the least Christian one. Find out more about why we feel drawn to ministry in Utah. Only 2% of the population in Utah claim to be Evangelical Christians that hold to the orthodox teachings of the Bible. With Salt Lake City being the capital city and the epicenter of the state, our missionary focus is to advance the gospel by reaching one of the most unreached cities in the entire country. Additionally, there are 15 counties (p. 17-20) in Utah that report being 2% or less Evangelical Christian. Yes, such places exist right here in America. Check out the video to get a 2 minute answer to why we moved to Utah and continue to stay here despite the many challenges we face on a daily basis. Terminology: Much of our terminology as Christians has been "borrowed" by the Mormon Church. As a result, before any gospel conversation can take place, we have to start by defining our terms (i.e. grace, faith, salvation, Jesus, God, etc.) Neglecting this painstaking process can result not only in countless dead-end conversations but as in a variety of critical misunderstandings. Due to this reality, the process of even dialoging with Mormons is very slow and very nuanced. Apathy: Unlike the rest of the United States, Utah has never been a Christian state. Therefore, it's never been "Post-Christian" or "Post-Church". 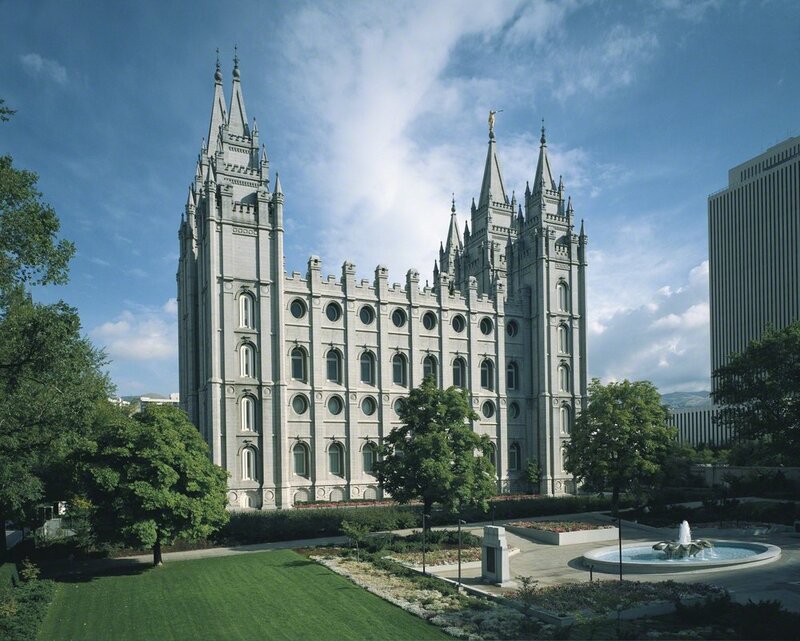 The reality is that most of Salt Lake City is "Post-Mormon". This means that most of the city's population have a background with the Mormon Church in some way or another. Many have may have grown up going to a Mormon Church but for one reason or another they've either walked away from the faith or become inactive. This produces a fairly apathetic attitude towards Christianity; happy to have a polite conversation with you about your faith while rarely thinking deeply or seriously about the truth you've just presented. Hostility: Another large demographic of the population in Salt Lake City are either are de-churched or the "nones". De-churched folks may have grown up in an Evangelical Church and the "nones" (a rapidly growing demographic all over the country) do not identify with any religious denomination or "church". At best, both groups often identify as "spiritual" rather than "religious" people. Both groups also typically harbor a very hostile and jaded attitude towards all forms of organized religion. Minority: Given the above mentioned obstacles, we find ourselves in a unique position of proclaiming the gospel and identifying ourselves as Christians. Mormons will say: "Us too!" and the "nones" and the dechurched will say: "So...you're a Mormon?" Therefore, one of the most unique and difficult challenges of doing ministry is Utah is the confusion that comes due to the Church of Jesus Christ of Latter-Day Saints claiming to be Christians as well. This is ironic given the harsh and crystal clear statements from their founder, Joseph Smith, about how all Evangelical Christians were not to be associated with and all their creeds and teachings were an "abomination". (Joseph Smith History, Vol. 1:1-20) Anyone who studies orthodox Evangelical Christian doctrine knows that Mormonism cannot honestly be included in Evangelical circles due to their heretical doctrines about the nature of the Bible, the nature of God and man, and the nature of sin and salvation. The desire to reach the lost, make disciples, and gather as the Church began in Bryan and Lisa Catherman's heart around 2012. In 2014, that desire became a vision that led to a Bible study in their home that grew as believers gathered and led unbelievers to faith in Jesus. This is where God first connected the Ricley's and the Catherman's together. After a few short months, it was clear that God was knitting our hearts together to see the lost reached and the gospel advance through planting a church together. Our Bible study quickly outgrew the Catherman home and in 2015 Redeeming Life Church officially self-identified as a local expression of the Church and began meeting in a community center on the west side of Salt Lake City. A year later, we outgrew the community center and God provided a larger building for us to rent for .55 a square foot! Currently, the Redeeming Life faith-family meets in this building on the west side of Salt Lake City and averages around 60-70 people. Redeeming Life Church's new building has room for about 100 people! We believe that the gospel is the power of God to save and transform all who would call on the name of Jesus. Therefore, we preach a message from the Bible every week while pointing people to the gospel and Jesus. We use the Bible as the standard foundation for all our ministry efforts and provide theological training at every level of growth. We believe nothing of eternal significance happens without prayer. Therefore, we pray over our people, our neighborhood, and our city on a weekly basis. Since 2015, we've hung 56,000+ gospel door hangers in every neighborhood in our community that has a gospel message and says "Praying for you today". We are committed to the multiplication of disciples and churches spreading to the ends of the earth. You can't read the book of Acts without seeing a vision for multiplication and therefore we seek to teach disciples how to multiply disciples, churches, and ministries to the glory of God. We believe we are the Church and therefore we take Jesus' words seriously to be "salt & light" in our community by serving it, blessing it, and being a positive presence there. This has often included street evangelism and prayer walking places of spiritual stronghold in our city. We believe in making disciples and training and equipping every disciple to join Jesus in His mission wherever they live, work, play, and do business. We holistically train the Church to be the Church in word and deed. As blood-bought followers of Jesus, we are transformed citizens of God’s Kingdom, holding a new outlook on this life and a great hope in our eternity with God. Jesus promises life to the fullest and calls us to enter his joy. Christians should be the most joy-filled people on the planet and we desire to live in this joy. We see a pattern in Jesus' method of disciple-making where He always took guys with Him. The apostle Paul modeled this as well with Timothy, Titus, Silas, and others. Therefore, we model and create a culture of team ministry that is unified and reproducible. It takes a lot of Kingdom collaboration to get a church started, growing, healthy, and self-sustaining. By the grace of God, we've been blessed to have many mission teams come out to Utah to help us advance the mission in significant ways over the past three years. From renovating our building, distributing door hangers, prayer walking the darkest places to giving us date nights and helping us reach out community; mission teams have had a huge hand in helping us reach our city. As a young church plant, our needs are many. We need gospel tracts. We need Bibles to hand out and distribute to new guest, people on the street, and those we're discipling. We need physical supplies, equipment, and more. We need funds for events, outreach opportunities, and more. We need interns, pastoral residents, and missionaries that want to labor for the Kingdom in one of the hardest contexts in North America. If you would like to partner with us beyond prayer please check out the list of partnership opportunities and send us a message. Thank you!